Anthony Weiner, who is a hopeful in the New York City mayoral race, issued an apology on Thursday after a reporter published a conversation he had with a voter during which she called his rival Christine Quinn, a “dyke”. In a report by the Washington Post, Weiner was talking to an older woman, and asked her if she was a registered Democrat. 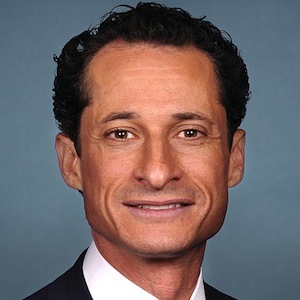 Weiner has now released a statement apologising for the incident, saying that he thinks homophobia is “vile”, said he did not approve of the way the voter spoke, but noted the circumstances of the exchange. The statement, tweeted by campaign spokeswoman Barbara Morgan, said: “Homophobia is vile and destructive and something I have fought against for the entirety of my career, including being a vocal supporter of gay marriage since 1998 and standing up on the floor of Congress for transgender Americans. Popular Democrat, openly gay mayoral hopeful Christine Quinn, recently released an extract from her autobiography, in which she reflects on sometimes feeling “a faint sense of unease”, that she might be judged for being gay. If elected to the post, Quinn would not only be the first openly gay mayor of New York City, but also the first female. Earlier in May a Quinnipiac University poll released showed that 37% of Democratic voters favoured Quinn, which, if she continues to close in, could mean she could reach 40%, and avoid a run-off primary. Another hopeful, Erick Salgado who is considered a long-shot candidate, said he had received emails from three different people both criticised and threatened him for accepting the anti-gay National Organisation for Marriage’s backing.